Mint condition comes with Lyman front and rear sights. One of the best conditions I've seen. Liverpool area or can collect from Bisley or on route. An immaculate example JM barrel stamp made in 1996 really nice wood on this one been fitted with a scope rail and Richter optics 3-9x50 scope and mounts with illuminated reticle and flip up caps. Very nice pre Remington Marlin with Deluxe stock and fitted with a picatinny rail. Comes in a genuine Marlin slip. A varminter barrelled .17HMR Rifle. Very accurate Stainless Steel barrel. Gun has a laminated "Salt & Pepper stock fitted, very solid. Gun is fitted with a SAK Moderator. 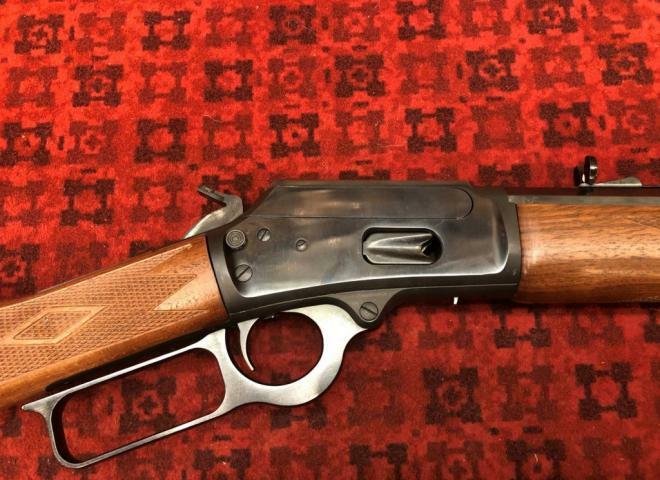 MARLIN 1894 COWBOY .44 SPECIAL / .44 MAGNUM - IN EXCELLENT CONDITION. READY FOR THIS SEASONS COMPETITIONS COMPLETE WITH A WILLIAMS SIGHT. THIS RIFLE CAN BE SENT TO YOUR NEAREST RFD FOR JUST £30.00 P&P UPON PAYMENT CLEARANCE. A .38/357 MAGNUM MARLIN IN NICE CONDITION FITTED WITH A SCOPE RAIL. IT HAS TWO SMALL BELT MARKS ON THE INSIDE OF THE STOCK. 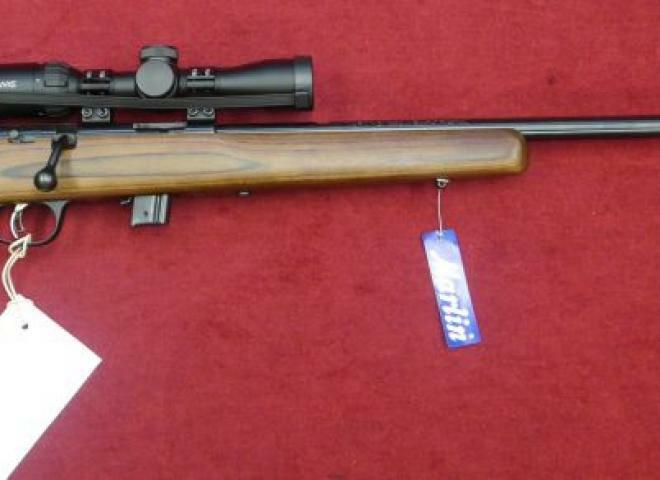 THIS RIFLE CAN BE DELIVERED TO YOUR NEAREST RFD/SHOP FOR £30.00 UPON PAYMENT CLEARANCE. BACK IN STOCK AT LIVENS. LIMITED NUMBERS AVAILABLE. 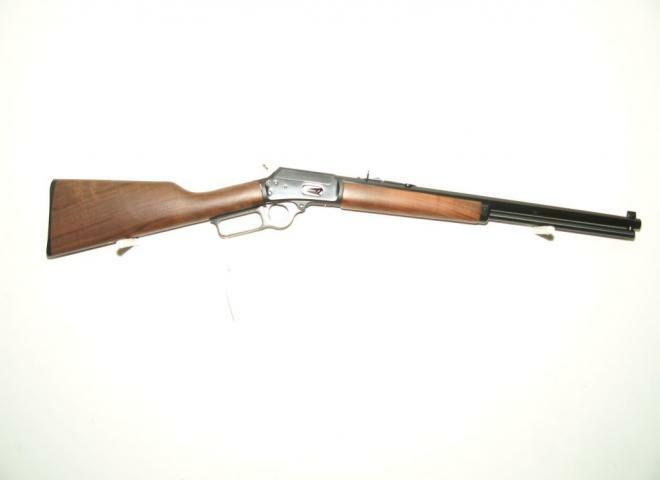 Very good condition Marlin rifle, little use on the range and comes with a picatiny rail on top. 01223837977. Hardly used and purchased new 18 months ago. To inquire about this rifle please quote number 121. A classic .22 with great reliability & accuracy. Comes with iron sights & tapped for rail. Finished in black Cerakote on the metalwork and green Cerakote on the stock and forend. A classic .22 with great reliability & accuracy. Comes with iron sights & tapped for rail. Finished in black Cerakote to the stock and metalwork. 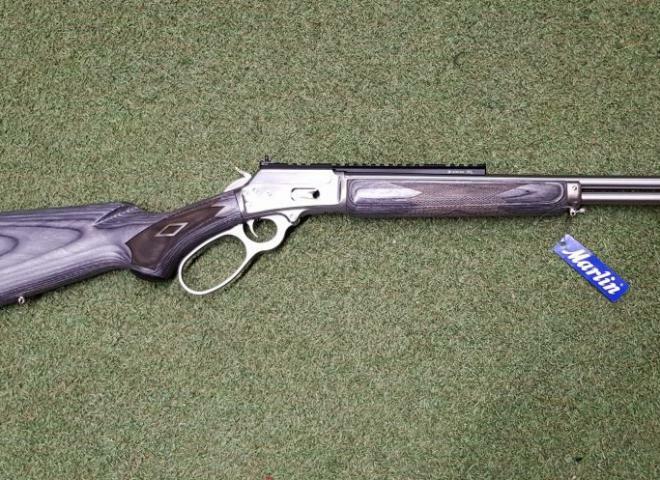 Very nice Marlin .17 HMR in a deluxe wooden stock. Great condition rifle with a detachable magazine. Fitted with sling studs and the barrel is threaded and comes with a new Sonic quality moderator. The Marlin 1894 CBSL is a stunning all weather underlever rifle is great for gallery rifle centerfire lever action disciplines. Also available in .44 calibre. An elegant carbine. Its handy size is punctuated by a quick-pointing, straight-grip stock design and Old West-styled, adjustable semi-buckhorn sights. 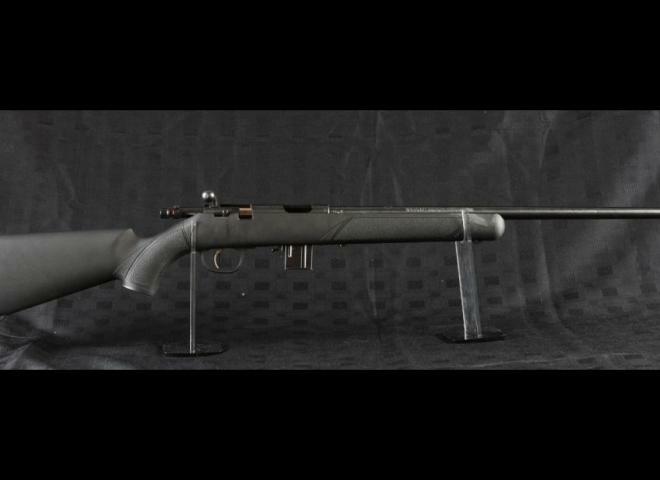 Grey laminated stock & forend. 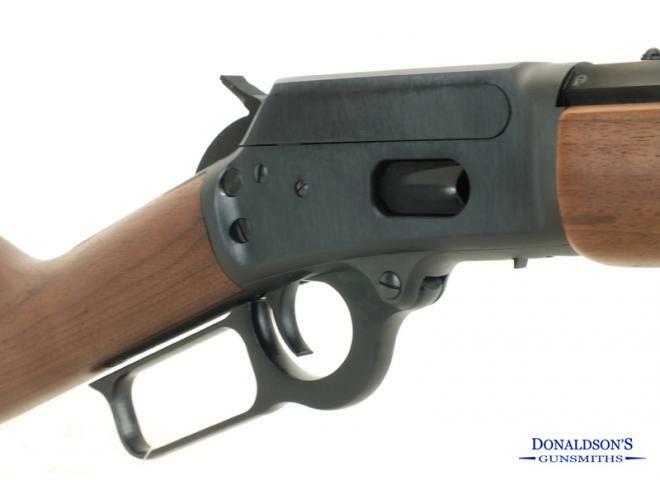 Marlin 1894 with 20" Octagonal Barrel open adjustable sights nice walnut stock all Marlins now come with a lifetime warranty. A Marlin Laminate .17HMR with a fluted barrel. 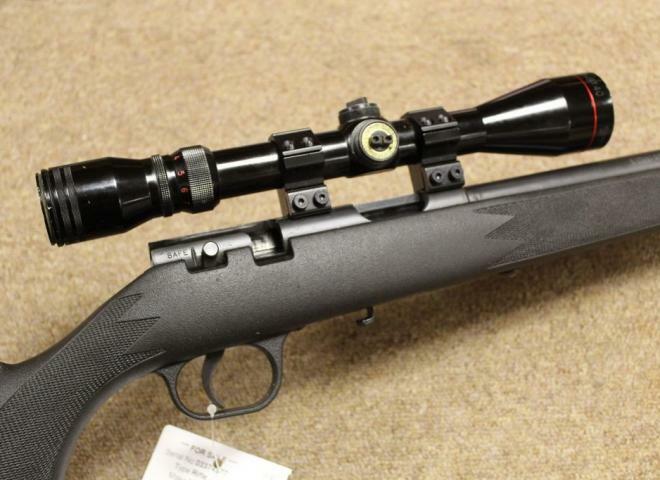 This gun comes as a kit with a Wildcat moderator and a Optisan Viper 4-6x50IRS scope. New model Marlin 1894 in .44 Magnum, as good as they ever were now and with a guarantee. Other Marlins in stock. 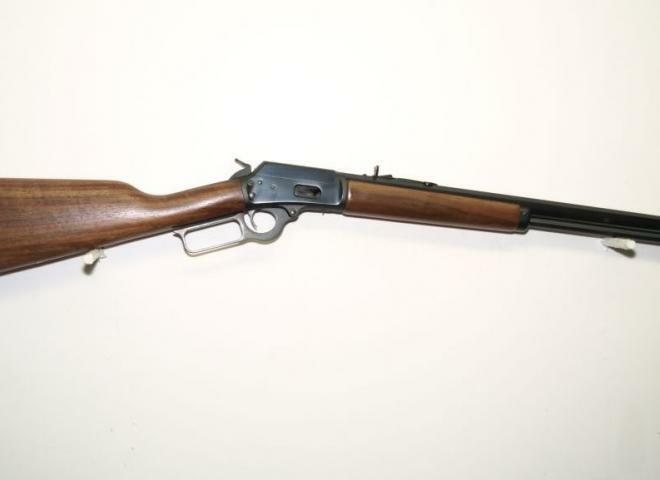 Marlin .357 Magnum 1894 Cowboy 20"
Latest model to be re introduced by Marlin the 1894 Cowboy featuring 20" Octagonal Barrel drilled and tapped for scope mounting,open sights and a lifetime warranty. A nice example with cross bolt safety. Made in the Marlin factory J.M. built in 1999. Very good condition. Good condition, some light marks and knocks on the stock consistent with age, comes with simmons 3-9-32 scope and mounts, threaded at 1/2"UNF. 18.5" tapered octagon barrel - OAL 36.5"